A mere two months before independent India became a republic, B.R. Ambedkar gave an extraordinary speech to the constituent assembly in which he explained what needed to be done if the country was to remain a democracy, in both form and fact. It remains one of the most clear and prescient pieces of political analysis in modern India. Ambedkar said India needed to abandon the path of civil disobedience and bloody revolution, and to meet its social and economic objectives through constitutional methods alone. He warned against the national proclivity towards hero worship, because such shows of political bhakti would pave the road to degradation and eventual dictatorship. Finally, Ambedkar also identified the huge challenge of grafting a democratic constitution on an unequal society, and explained why political democracy needs to be supplemented with social democracy. India ignored Ambedkar on all three counts, and has paid the price as constitutional democracy is being replaced by a populist democracy of mob rule, leadership cults and social fractures. Each warning given in that speech continues to be disregarded. Powerful clans who use dead national leaders as vote-getting symbols now dominate politics from New Delhi to district towns. It is both ironical and sad that Ambedkar himself has been reduced to a handy icon, to be worshipped rather than read. Other political leaders have been stripped of their complexity and have been imprisoned in the straitjackets of ideology, caste, region and religion. Makers of Modern India, a new book edited and introduced by Ramachandra Guha, needs to be read against this background of institutional and intellectual decline. As one of the pre-eminent public intellectuals in contemporary India, Guha is well placed to remind Indians of their rich (and overwhelmingly liberal) political heritage. He has selected from the speeches and writings of 19 great Indians who were both thinkers and doers. His subjects come across as nuanced thinkers rather than the one-dimensional caricatures that are paraded before us these days. The Ambedkar speech on the grammar of anarchy is also included in this book. The speeches and essays selected by Guha do cast light on the inevitable differences between these men and women. But there are also commonalities that partisans on all sides would rather not draw attention to. We have grown used to dividing political leaders on the basis of where they stand on the communal question, but redrawing these boundaries in terms of modernity versus traditionalism or state versus market can throw up interesting combinations. For example, worshippers of both M.K. Gandhi and M.S. Golwalkar would rather harp on their different views on the very important communal question, but there are also striking similarities between the two (not highlighted adequately in this book) on issues such as regeneration of the village economy, reform of the caste system, mysticism, protection of the cow and traditional knowledge. A selection of this sort is bound to be contentious, because the number of people left out will always be larger than those included. Nobody should question the inclusion of Gandhi and Jawaharlal Nehru; or Raja Rammohan Roy, for that matter. But since Guha has done well to highlight relative unknowns such as Verrier Elwin and Tarabhai Shinde, I would also have liked to see the radical humanism of M.N. Roy, a global revolutionary and modern intellectual, represented in the book. Also, the rationalist Hindutva of V.D. Savarkar is perhaps more relevant to modern India than the more contemplative and religious thinking of Golwalkar. 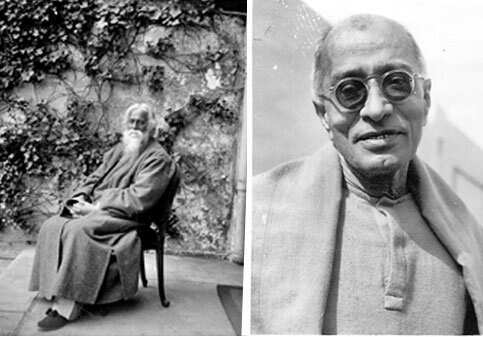 Both Roy and Savarkar—who were friends despite being political opponents—had fiery political careers and were blessed with sharp intellects. Roy is more or less forgotten today while Savarkar has gained in popularity. Guha has done sterling service by rescuing the intellectual legacy of the great Hamid Dalwai from the fog of national amnesia. Dalwai was a gifted Marathi writer who took on the onerous task of liberating the Muslim community from the clutches of the clergy. He did not shy away from plain talking about what ailed the Muslim community in India, including the habit of blaming Hindus for its woes, but he also quite presciently warned in the 1960s that Muslim and Hindu obscurantism would feed on one another. Guha quite rightly points out: “In a post 9/11 world, (Dalwai’s) writings can, I think, be read with profit in all countries and continents where members of different religions seek to live peaceably together and whose leaders—we may hope—wish to make belief in a personal god compatible with a collective and public commitment to democracy and modernity." Dalwai was only 44 when he died, looked after in his last days by a young and idealistic politician, Sharad Pawar. 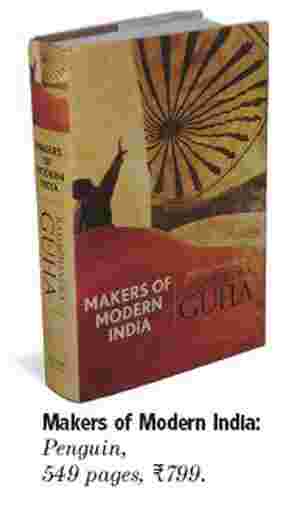 Reading through the selections of the 19 makers of modern India, one is struck by the sheer diversity of concerns that gripped their minds—the gradual reformism of Gopal Krishna Gokhale, the militant populism of Bal Gangadhar Tilak, the enlightened globalism of Rabindranath Tagore, the attacks on caste by E.V. Ramaswami, the feminism of Shinde, the nation-building of Nehru, the futile quest for alternatives to parliamentary democracy by Jayaprakash Narayan, the fight for a free market economy by C. Rajagopalachari, the sharp investigations into caste as a central fact of Indian life by Ram Manohar Lohia and the insights into tribal life by Elwin. These and other leaders have continued relevance. The splendid economic boom that India is in the middle of will inevitably be socially disruptive as well. It is a well-documented fact that the social strain of such disruption often leads to rebellion or hyper nationalism, to anarchy or oligarchic rule. We see early signs of all these in India, in tribal rage harvested by the Naxalites and the flag waving encouraged by the mainstream political parties. It is critical at such as juncture that India remains in touch with the enlightened political thought that emerged in response to colonial rule and later gave us a liberal republic. A sound understanding of Indian political traditions would also help us understand the importance of Ambedkar’s perceptive warning on 25 November 1949.